Question: I have been testing the waters, trying to get involved in Judaism. But I feel like I’m swimming in a vast ocean of unfamiliar concepts: Hebrew texts, legal nuances, culture, etc. I’m not sure any of this is for me! The Aish Rabbi Replies: There is a misconception that many people have about Judaism, what I call “the all or nothing” syndrome. With 613 mitzvot in the Torah, things can seem a bit overwhelming. People take a look at traditional Judaism with all these different commandments and say to themselves, there’s no way that I can be successful at living that type of lifestyle, so what’s the point of looking into it or getting involved? Where to start? What to focus on? How to make sense of it all?! That’s not the Jewish way! I suspect we’ve traditionally misunderstood what James is trying to say to his readers, since he doesn’t seem to be saying that you have to keep the Torah perfectly. He seems to be saying that if you expect your observance to justify you before God, only then would you have to keep the Torah perfectly. However, if you observe the “royal law”, that is “You shall love your neighbor as yourself” (Lev. 19:18, Mark 12:30-31), and do not show partiality, you are not sinning and not counted among transgressors if you are not perfectly observant. Even if you are not perfect but you show mercy, then God will show mercy to you (see Matthew 5:21-22, Matthew 6:12). Imagine you bump into an old friend and he tells you how miserable he is. You ask him, what’s the matter? He says, I’m in the precious metals industry. My company just found a vein of gold in Brazil that’s going to be worth hundreds of millions of dollars. You say, that’s fantastic. Your financial problems are solved. What’s the problem? He says, you just don’t get it. Do you realize that this is just one vein of gold? It represents such a tiny fraction of all of the unmined gold in the world. What do I really have, compared with what’s out there? You say, are you nuts? Who the heck cares about what you haven’t found yet? What you’ve got now is a gold mine! That’s the Jewish approach. Any aspect that you learn about, or can incorporate into your life, is a gold mine. What does it matter what aspect of Judaism you’re not ready to take on? In Judaism, every mitzvah is of infinite value. Every mitzvah is more than any gold mine. Don’t worry about what you can’t do. Even if you never take on another mitzvah, you’ve still struck eternal gold. What if when you first became a Christian (if you are a Christian), you believed you had to live a perfect Christian life (however you define such a life)? What if you believed you had to go to church every Sunday, had to attend every Sunday school class, had to be at church every Wednesday for whatever class or event was being offered? What if you thought you had to instantly understand terms like “justification” or “propitiation” or “agape” and if you didn’t know and do all you believed was expected of you, it would be the same for you as a Jewish person who didn’t literally observe the 613 commandments of the Torah? Sounds pretty horrible, huh? Instant perfection or instant failure. I know what you’re thinking. You’re thinking, “But we’re under grace, not the Law. We Christians don’t have to be perfect.” Ironically, that’s pretty much what the Aish Rabbi is saying, too. Except in Judaism God’s grace and His behavioral expectations for Covenant members aren’t mutually exclusive. It’s all part of the same package. It’s all God’s providence and love. The love between God and Israel is unconditional. Even when Israel behaves in a manner that results in estrangement, that love is not diminished. Israel does not have to restore God’s love, because it is eternal, and His longing for Israel to return to Him is so intense that at the first sign that Israel is ready to abandon its errant ways that led to the estrangement, God will promptly embrace it. In Judaism (as I understand it and I realize I’m making an overly generalized statement), God loves not because a Jew is perfect but simply because God loves and because He chose the Jewish people and the nation of Israel to be His own. Nobody is observing all the mitzvot. Pretty shocking, huh? But that’s not all. That’s because certain mitzvot only women usually do – like lighting Shabbat candles or going to the mikveh. 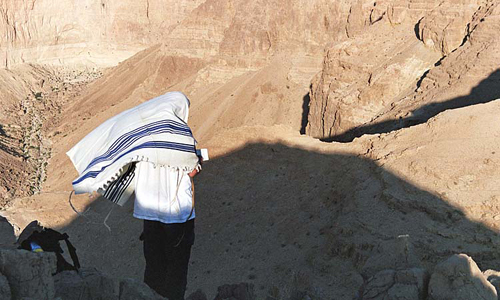 Other mitzvot only men can fulfill – like Brit Milah. Others only apply to first-born children, such as the “fast of the first born” on the day before Passover. And only a Kohen can fulfill the mitzvah of reciting the Priestly Blessing. So when we talk about the totality of mitzvot, we’ll never do them all anyway! So rather than get overwhelmed with the vastness of it all, better to be realistic about what we can do, and move forward in a positive way. But that just means some people don’t do all of the mitzvot because not all of the mitzvot are intended for everyone, like the laws for the Kohen or the laws pertaining only to women (and as you probably already know, there are laws that apply only to Jews and not to Gentiles, Christian or not). But that could still mean a Jew is supposed to be perfect in all the laws that do apply to him or her. Let’s say, for example, that a person wants to try the mitzvah of prayer. We may go to synagogue and see someone immersed in intensive prayer for one hour. We cannot conceive of how we could possibly get to that point ourselves. That’s understandable, especially for one who is not fluent in Hebrew. So it’s a matter of knowing which prayer gets top priority – for example, the Amidah prayer. The Amidah has 19 blessings, and it’s very difficult to concentrate for that entire time without being distracted, or one’s mind wandering to other things like shopping and checking your email. So the key is to take on a small goal: “I am committing that for the first prayer of the 19, I will not rush nor allow anything to interfere between me and these few words.” That goal is realistic and attainable, and one can begin to approach a high degree of intensity and concentration on that one prayer. What this does is give a taste of the higher goal. All that’s needed is to extrapolate to all 19. This is much more effective than starting off by saying, “Today I’m going to pray the entire 19 with great concentration!” – and then after three words, you’re thinking about what’s for breakfast. If it’s too lofty a goal, then at least taste it once. Break down a huge goal into bite-size steps that are realistic to achieve, and will give a taste of the full goal. That’s a lot of text to say something simple. Start with just one, small mitzvah and work up from there. But what does this have to do with Christians? One point of relevancy, and I alluded to this above, is that we Christians need to have a better understanding of how Torah observance relates to Jewish life, since we tend to give observant Jews a hard time for not being perfectly observant. We also tend to view “grace” and “the Law” as polar opposites (like “Christianity” and “Judaism”) which, as I also mentioned, is not true. But if, as most Christians believe, the Law has nothing to do with us, why do we care beyond those straightforward statements? If you’ve been reading my blog posts for the past couple of weeks, you know there is an ongoing debate about whether or not God requires all Jesus-believers, both Jewish and Gentile, to observe the same Torah commandments in the same way. 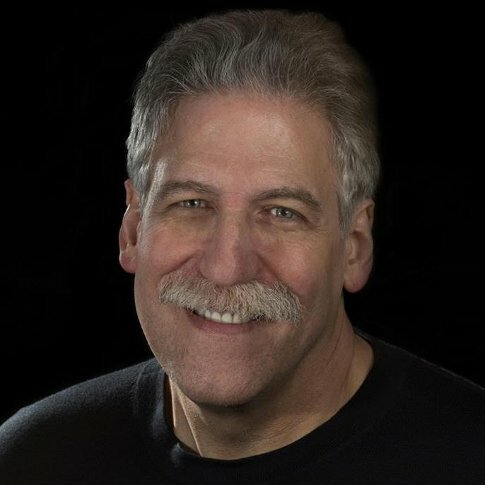 If you listened to the rather uncomfortable debate between Dr. Michael Brown and Tim Hegg on this topic, you discovered that Mr. Hegg believes the answer is an unequivocal “yes” for everyone, while Dr. Brown thinks that no believer, Jewish or Gentile, has to observe any of the commandments (grace replaced the Law). Frankly, I disagree with them both, but then the question is, what should Gentile Christians do? In such an environment the Shema may take on additional meaning, as a gentile reply and response to its pronouncement by Jews. 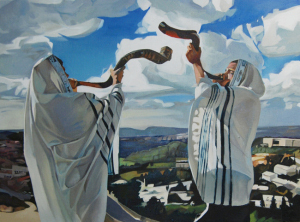 As Jews say: “Shm’a Yisrael Adonai Eloheinu Adonai Echad” (“Hear, O Israel, HaShem is our G-d, solely the One-and-Only HaShem”), followed by “Baruch shem k’vod, malchuto l’olam va’ed” (“Blessed is His glorious purpose — an eternal kingdom”), then gentile disciples of Rav Yeshua may reply: “Hear, O Israel, HaShem your G-d has become our G-d also, the One-and-Only HaShem” (“Shm’a Israel, v’hayah Adonai Eloheichem gam Hu ‘aleinu, Adonai Echad”), perhaps followed by Zech.14:9 “V-hayah Adonai l-melech ‘al col ha-aretz — ba-yom ha-hu, yihiyei Adonai Echad u’shmo echad” (HaShem shall be King over all the earth — in that day HaShem shall be [recognized as] One, and His purpose [as] unified). But maybe I’m already looking a little too far ahead …. That’s probably a lot to absorb and it’s likely not all of you will relate let alone agree. Coming at the question from another direction, a friend of mine pointed me to an article by John C. Wright called Christians in the Pantheon called Life. “It is an interesting fix we Christians find ourselves in. On the one hand we should like to argue that Capitalism is a better system than any other by virtue of its results and its preference towards voluntary action and organization over government coercion for arranging society. I confess I do not see the paradox. Click the link I provided above to read the rest, which outlines why there isn’t a contradiction between the Biblical expectations for Christian behavior and living in the world. Learning what God expects of us is simple enough to grasp in a few moments and yet complex enough to take an entire lifetime to comprehend. Seems pretty straightforward but within those simple statements is a world of meaning and learning. In Christianity, we tend to expect that we are to understand everything in the Bible perfectly and live it out unerringly (which sounds very “legalistic,” the way most Christians see Jewish people). There are no mysteries or contradictions and that with the right interpretation (and solid doctrine), the meaning of God’s Word just unfolds right in front of you with little or not effort at all. Except that’s not how most Christians experience the Bible if they’re at all honest in admitting it. The reason I study the Bible through a somewhat Jewish lens is not to learn how to practice Judaism, but to learn to live with a certain amount of dynamic tension involving those little things that don’t seem to add up or that even contradict each other in the Bible. I recently heard (read) a joke about Jewish people (I think it was in one of ProclaimLiberty’s comments) about “him being right, and the other guy being right, and you’re right, too.” From a Christian point of view, that all seems impossible. How can three different people hold three different opinions and yet all of them are right? Rav Yosef Cologne, the Maharik, wrote against a group of Rabbis who imposed their authority on their students and claimed that once someone studied under the authority of a rebbi he must behave submissively to that rebbi forever and may not disagree with his ruling. Maharik responded that even if one wants to claim that the former student remains submissive to his rebbi forever, that would only apply to halachos related to honoring a rebbi, e.g., to stand when the rebbi enters the room or to tear kriah if the rebbi passed away. If, however, the former rebbi is making a mistake in halacha the former students must raise the issue rather than silently accept the rebbi’s position. Most Christians and even some Jews tend to see observant Judaism and particularly Orthodox Judaism as a straight jacket made out of lead. Once you’re in, you can never escape and there’s no such thing as “wiggle room”. Here we see (again) that Christian presumptions about Judaism don’t always hold water. The lived experience of a Christian is actually more complicated and nuanced than one would imagine. Just reading John Wright’s brief essay reveals details that aren’t obvious to either the secular or Christian Gentile. The same can be said for observant Jewish life. Neither lifestyle exists as a single package that one acquires immediately like a birthday present, but rather represents a lifetime of experience, painstakingly gained bit by bit with each passing day. We’ve just entered the month of Elul in the Jewish religious calendar, which is the month immediately preceding Rosh Hashanah and Yom Kippur. 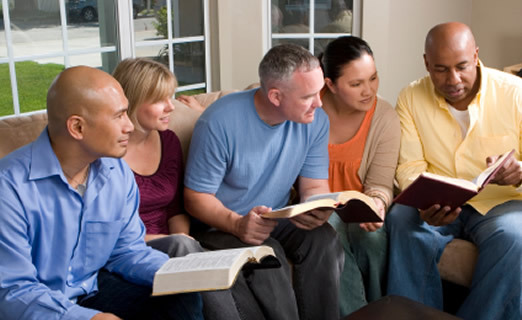 Derek Leman made some suggestions that could apply to both the Gentile and Jewish believer, but while there seems to be some overlap here for those of us to consider ourselves “Messianic,” it’s critical for us to grasp that we also have very individual duties and responsibilities to God that we are constantly seeking to master. For more on the month of Elul, read Elul: The Secret to Change. Seems to me the purpose of laying guilt on a person for breaking even ONE commandment is designed to provoke a psychological crisis that can only be solved by God (or accepting certain religious dogmas.) This removes any impetus for personal improvement. We all break more than a mere one commandment or expectation of God in a human life, Steve. If we are sensitive to God, all of our failures should prompt us to strive to become better people and better servants of the Almighty. The month of Elul in Judaism is an opportunity for a Jew to examine him/herself and to go through a detailed process of repentance, repairing damaged relationships with other people and with God, and to strive to make improvements. The idea isn’t to become perfect, for we can never do that, but to continually strive to become better. Every day needs repentance for something…oftentimes the same something as the day before. It is very hard to break even so-called good habits, much less the bad ones you acquired throughout a long life. Repentance is about return…returning to the good road, back to obedience, back to pleasing G-d, to learning and growing while G-d changes you. To do that you have to examine yourself…and pray for forgiveness from G-d…and from man. Then there is the necessary thanksgiving for being saved from yourself and the Adversary yet one more time. Then being back in G-d’s good graces, so to speak, one then has the ability to sit back, enjoy life for an hour or two, and thank G-d a lot more. And then, being thankful, one begins to pray to be yet more obedient, and praying for more change, and more turning, which leads to more asking for forgiveness, and thanksgiving…and then one fails, and begins again. I agree we should do better, all the time. Are we not supposed to be doing this all of the time? Every day? How do you do it harder, if you are doing it all the time? I sin every day. I repent every day. I examine myself everyday…and all the rest of my days…usually several times a day, because I fail a lot. I’m not good at obedience. Not yet. G-d willing, I will one day learn to be good. I don’t think I can or should add on the preparations of Elul this year any differently than I keep any day…at least I don’t think so…not today…not Erev Shabbat. I barely kept from PLANNING to break Shabbat before it was even sundown, and had to stomp on that, and shrug off all the negative aspects that keeping Shabbat will create for me, not because of Shabbat, but of the necessity of preparing for it properly, and not getting everything done because I was not brought up to be a Jew, and still have trouble preparing for the day properly. I may reconsider refocusing on the month Elul after a day’s rest from the world, but right now I’ll be glad to make it until Erev Sunday without needing to repent again, much less plan on how to repent, repair, and improve on Sunday, while adding on all of the forgiveness, and neighborly praying and loving I need to do at the same time. Being neither Christian nor Judaic leaves me with all that Yehoshua said to do, and adding on, bit by bit, the Torah that I was not taught from birth, but fortunately I was taught, mostly by the Holy Spirit, and a good Bible teacher the repent/repair/improve sequence, and then to enjoy, love, pray for and forgive the rest of the time. I am not complaining, for I have learned to love this process of getting closer to G-d. I am merely describing what I thought the normal process was…the process I already live every day. I am not going for perfection,(G-d forbid!) but merely attempting a general obedience to the weighty matters, plus a rather mediocre observance of Shabbat, Kashrut, and the feast days themselves. Mind you, I am 19 years disabled, and have a great deal of time to focus on this every day, in between studying and writing as Abba has commanded me to do. I do not want to belittle the Judaic reverence for the moedim, particularly the Day of Atonement, since I want to acquire such reverence. I really want to know. What am I leaving out, except the cultural observances I may not want to acquire? Is there a different kind of pattern to the Jewish day, presuming a Jew has a lot of time on his hands to study, examine oneself, and do teshuvah? I don’t think I can or should add on the preparations of Elul this year any differently than I keep any day…at least I don’t think so…not today…not Erev Shabbat. And I’m not saying you have to, Questor. It’s just that people can get lazy and as far as the Jewish people are concerned, God “programmed” reminders in their annual calendar regarding teshuvah (repentance or turning back to God). The link I posted to Derek Leman’s blog post above simply gives a list of those things a person, Jewish or non-Jewish, might do if he/she wants to re-double their efforts. Ideally, we should all repent with ferver and sincerity every day, but how many people have that kind of discipline? Well, you’re “something,” even if you feel the traditional “labels” for a disciple of the Master don’t quite fit you. Being called a “Christian” isn’t really inaccurate, it’s just the baggage the word carries along with it that is sometimes a little difficult to bear. Is there a different kind of pattern to the Jewish day, presuming a Jew has a lot of time on his hands to study, examine oneself, and do teshuvah? What you desire, drawing nearer to God, isn’t, in principle, a very difficult thing. More than ritual, sincerity, openness, and determination in prayer, worship, and in living is necessary. Whether you choose to incorporate some practices typically associated with Judaism to help you is up to you. I know a number of “traditional” Christians who I believe are close to God in their daily walk. What I think certain Jewish practices provide is a daily scheduling of meetings with God and reminders of God, but integrating that scheduling into daily life requires years of practice. It has advantages, but I’m not convinced that all Gentiles must emulate the entirety of those practices in order to achieve an intimate relationship with God. James, please be specific…How does one then seek an encounter with G-d, if all of your free time and efforts are already in repentance, repair, studying, applying the studies, enjoying G-d’s blessings and company in peace in between failing to keep the parts of Torah you are working on, forgiving, helping and loving others despite having no knack for any of it? If you are talking about reaching G-d through fasting…I have done that when needed. If you are speaking about receiving dreams and visions from time to time…ditto. I have received a few of both each year since 2006 – explanatory, not prophetic. If you are talking about asking G-d questions, and getting answers…about asking for healing, and getting healed…that too is in process, although my pride and impatience and grumbling get in the way, as does my lack of faith and expectation get in my way…and G-d’s. If you are talking about being changed by asking to be changed, since one cannot change oneself, again, I’m doing that too. What kind of an encounter are you speaking about, and how do I get one? Questor, I’m not talking about a method or a special set of steps to produce a supernatural result. There’s no “magic” to this. I’m not saying you’re doing anything wrong. However, I’m also not promising (because I can’t) that when you do all those things, you’ll have an experiential connection with the Almighty. Encountering God isn’t always about having an emotional or spiritual experience. Sometimes what we encounter in seeking God is ourselves. You seem to think you’re missing something. What it is I cannot say. But you might want to consider that doing all that stuff (praying, studying and so forth) isn’t to get God to do something or to change Him in any way, but to change you. James, I do not feel I am missing anything except being changed by G-d to be more like He wants me to be, and fortunately, since I am always asking to be more changed…I get more changed. I certainly am not doing any of it…I look up, after a time, and notice I am doing something positive I did not do before, and all I ask was when did I start doing this or that, and I look back and see that G-d has changed me, and get into thanksgiving as I shake my head in wonder that I have somehow progressed, and yet, did not do anything except ask to be changed. It was the statement that we really need to experience an encounter with G-d that perplexed me, and why I keep asking what it is, and how to get it. What kind of an encounter is it? And if it is not unique to the individual, then there is a process of achieving such an encounter…at least presumably. If so, I want to know about it, that’s all. If I am to seek a specific encounter with G-d, as you have stated, I need to know about the process, and the end result. Otherwise, I can’t do anything I don’t already do, nor would I need to, if such an encounter is so vague as to be just a possibility of some lack in myself. I already lack a lot…I do not need a mirage to chase. If it is merely learning about oneself…that is what self-examination is for in the repenting process, and I already am doing that as well, never much liking what I see. You raised the concept of seeking an encounter with G-d, but you are not telling anything about what kind of encounter it is, nor how to achieve it. Why then suggest it? I look back and see that G-d has changed me, and get into thanksgiving as I shake my head in wonder that I have somehow progressed, and yet, did not do anything except ask to be changed. I’d say that’s an encounter, Questor.